In a world of successful startup stories and shiny social media profiles, you rarely hear about what it takes to make your dreams happen. I’m always so inspired by ambitious, talented women who follow their creative passions, and thankfully I get to meet and work with such wonderful people on a daily basis. This means a lot of open, honest, career related conversations are usually shared - and I can’t begin to tell you how helpful this has been for my own creative journey. I wanted to find a way to share these honest conversations here on Life Of Zola, in hopes that they would inspire others to pursue what they love, despite the uncertainty or resistance of daily life. So, today I want to share with you the first Who’s That Girl interview - a segment on the blog where we chat with these brilliant, creative women about what motivates and inspires them. 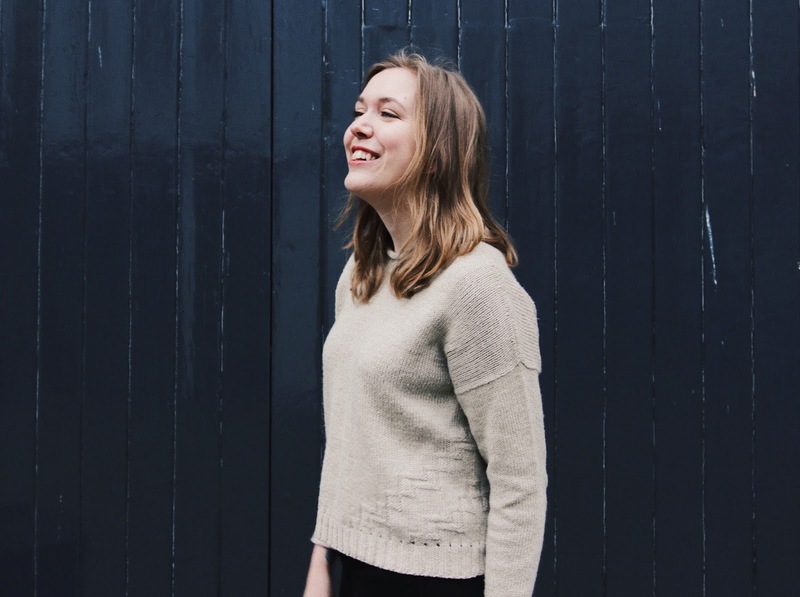 Meet Clare - the founder of the knitwear design brand Sister Mountain, and a very hardworking friend of mine. After knowing her for so long and witnessing her amazing work ethic first-hand, I knew I wanted to interview her on the blog. 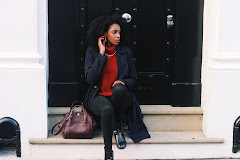 We chat about her love for knitting, turning a hobby into a business, and how to keep your wellbeing in check whilst living in London. Who and what is Sister Mountain? Sister Mountain is my website devoted to knitting a more wearable wardrobe. I design modern, minimalist knitting patterns that fit seamlessly into your wardrobe and I teach clever, yet easy-to-understand knitting techniques via my blog to help you level up your knitting. Where did your passion for knitting begin and when did you decide to turn it into a business? My Nannan taught me to knit when I was about 8 years old, but I didn't fall in love with it until I was 13. From that point onwards, I have knitted nearly every day of my life. When I studied Knitwear Design at university, I never thought I'd end up designing knitting patterns, as it wasn't considered a viable career path. Once I graduated and realised that the world of fast-fashion was not for me, I eventually realised that, after a bit of soul searching, the thing I wanted to do most was to design knitting patterns. Rather than being afraid of the potential difficulties (of which there are many!) I decided to do it any way and see what happens. I love seeing all the amazing clothes you’ve designed on your instagram and blog! What was the first item of clothing you ever knitted? The first garment I ever knitted was a chunky sweater from Rowan's Big It Up book in 2015. It was called “Nothing” and was designed by Antoni & Alison. The whole sweater was kind of ridiculous, but I was SO proud of it. Up until that point, I'd knitted hats and scarfs, but this was my first proper garment. We’ve spoken a lot about how life after university isn’t always as straight forward as we thought it would be. Is there something you wish you could tell your younger self about the post-uni ‘hustle’? I think that there is a common expectation that if you go to university and get a good degree, you will be able to find relevant employment straight away when you graduate. This was not my experience, nor was it for many of the people I know. The reality is that the graduate jobs market is incredibly competitive. It will likely take you at least 6 months to find a job relevant to your degree and even then, it might not be exactly what you want to be doing. There is almost always an element of compromise. If I could, I'd tell my younger self to be kinder to myself. I was very hard on myself for not getting a knitwear job straight out of uni and felt that I'd failed somehow – like I wasn't good enough. They were pretty dark days for me and just being a little kinder to myself would have taken some of the pressure off. I resisted getting temp work for a long time because I felt like that would be giving up on my dreams. In reality, it would have just given me some more financial stability whilst I was still pursuing the same dreams. Aside from your own business, you’ve also managed social media accounts for other brands. How have you found balancing freelance/part-time work with your business? Balancing full-time work and your own business is tough, because it leaves very little time for relaxation and spending time with the people you love. It's possible (in fact, many people have done it), but for me, I just don't have that capacity. That is why I decided to work part-time. I now work 4 days a week at my day job as a marketing assistant for a bespoke tailoring company and work on Sister Mountain 2 days a week, which allows me 1 day off every week. I also do some work in the evenings after my day job, but try very hard not to stay up late, as sleep is super important to me. Whilst it's not the epitome of “balanced” this works really well for me and my fledgling business as I know it's only for a season. I'm quite protective of my work/life balance, so as soon as I am able to work more on my business during the week and have a full weekend off, I will do so. I know mindfulness, mental health and self-care is important to you and your business. How do you practise self care whilst living in one of the busiest cities in the world? Keeping my mental health in check is incredibly important to me, as I have a history of mental health problems. The main way that I do this is simply by looking after myself, as I would someone who I care about. I have a tendency towards overwhelm if I'm not careful, so I have to make sure that I'm not trying to do too much at one given time. If I am feeling busy, I make sure I take plenty of breaks to rest and refresh. It's often when I'm busy that I can forget to drink enough or I don't eat enough of the things that make me feel energised, so I try to keep on top of that. In terms of feeling calm and more in control, I love yoga and meditation. I used to practice them every day, although now it's only 2-3 times a week, since my business gives me less time than I used to have. Regardless, I love how they make me feel. Do you have any go-to podcasts, books or resources that have helped you keep motivated during your career or wellbeing journey? I love listening to podcasts and have several that have kept me inspired. The Fizzle Show is one of my favourites. It's entertaining, educational and super practical for someone who is starting a business for the first time. I also love Courage + Clarity, Online Marketing Made Easy, Close Knit and Woolful. In terms of books, Sweater Design in Plain English by Maggie Righetti is a book I turn to on a regular basis for advice on how best to construct a knitted garment. What tip you would give to someone who wants to turn a hobby into a career? My advice would be to give it a try. It might seem like a pipe dream, but you will never know until you go for it. Make a plan of what you want to do and work on it consistently for a period of time. For example, I have told myself that I am going to consistently blog, every week, until I have published 100 blog posts. During that time, I will also be publishing knitting patterns. Even when it gets hard, I am not allowed to give up UNTIL I reach my target of 100 blog posts. If, after all of that time, it doesn't feel like it's working, I will let myself give up or try something else. So many people try something and give up too quickly. If you can be dedicated enough to work on something seriously for a decent length of time, you will be surprised by the results you will see. Tell us where you’ll see yourself and Sister Mountain in 5 years time? In five years time, I hope that a considerable portion of my income comes from Sister Mountain. I'd be delighted if it could be my full-time gig by that point, but if that isn't possible, I hope that I'd be able to cut down my day job's hours considerably to give me more time for my business. And finally, which three songs are on your on your knitting playlist? It's hard to whittle it down to three! It's got to be “A Better Son/Daughter” by Rilo Kiley, “Losing You” by Solange and “Swim Good” by Frank Ocean.